Do you want to be a pastor? Make sure you're doing it for the right reasons. Because the bad reasons outweigh the good ones. By a lot. People become pastors for so many wrong reasons. They like the status. They like speaking in public. They like arguing theology. They come from a long line of ministers. The list goes on. If you’re debating becoming a pastor, here's a list of wrong reasons to become one, including some better alternatives to consider. This may be why the pastoral drop-out rate is so high. Especially in the early years. Knowing them may save you – and your church – a lot of heartache. The long list is followed by a very short list: the only good reasons I know to become a pastor. Do you like being in charge? Start your own business. Do you like talking while others listen? Become a college professor. Do you like arguing theology? Start a blog. Do you like church buildings? Become an architect. Do you like church history? Become an archeologist. Do you like visiting the sick? Become a chaplain. Do you have a lot of ministers in your family? 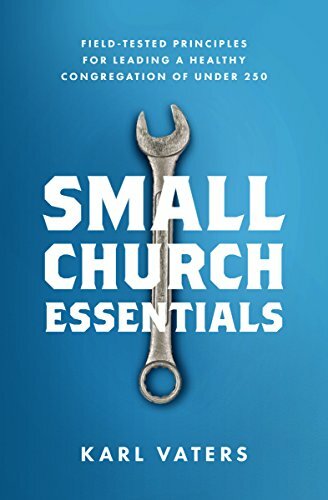 Become your pastor’s greatest supporter. Do you like marrying people? Become a county clerk. Do you like burying people? Become a funeral director. Do you like wearing special garments? Join the theater. Do you like having people look up to you? Wear higher heels. Do you want to be in a position of authority? Run for public office. Do you like having weekdays off? Become a rock star. In my experience, there are only two good reasons to become a pastor. 1. Because you have an unshakable call from God to help people know Jesus and grow in their relationship with him and each other. 2. Despite how hard it is to be a pastor, it’s harder for you not to be a pastor. You have to love Jesus. You have to love people. You have to love equipping, mentoring and discipling people. You have to be willing to stick with them over the long haul – through good times and bad. If you’re looking for something other than that, you need to look elsewhere. If you can't find God's will for your life doing anything but that, welcome to the pastorate. It's the hardest job you'll ever love.